Eric Johnson will return to the Salina Liberty for a second season and is expected to bolster the team's secondary. Johnson, a 5-9, 195-pound defensive back, played 12 games for the Liberty last season and helped the team to a 10-4 record. He finished with 43 total tackles - 26 unassisted and 17 assisted - and also broke up six passes. Johnson was born and raised in Bakersfield, Calif. He played at Palomar Community College in California and one year of NCAA Division III football at Rockford College in Illinois where he received multiple Special Teams Player of the Week awards. During the 2016 season, Johnson played six games for the CIF's Dodge City Law, registering 21 tackles and one interception. Salina Liberty team open their fourth season on March 16th for a pre-season game against Topeka Flight at Tony's Pizza Event Center, followed by a regular season road game at Amarillo. 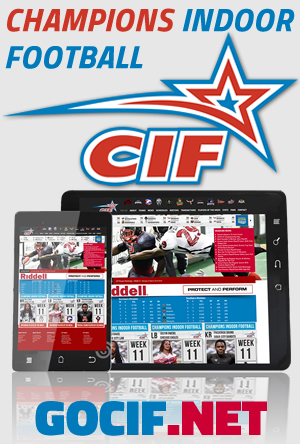 Salina will be part of the CIF's Northern Conference with the Wichita Force, Sioux City Bandits and Omaha Beef. The Southern Conference consists of the Amarillo Venom, Oklahoma Flying Aces, Duke City Gladiators and Texas Revolution. The Liberty will play a 12-game regular season schedule in 2019.